Want to get your website online fast and want to be always available? 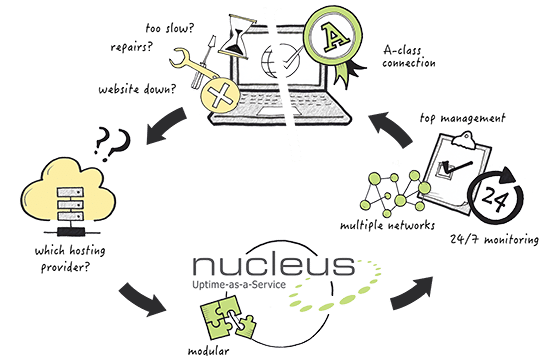 Then Nucleus Shared Web Hosting is the ideal solution. 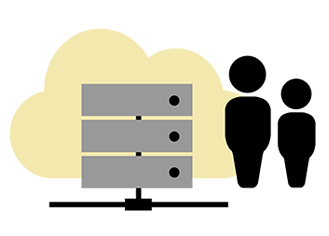 Instead of installing and managing your own server, we offer you web space on a shared server in our public Nucleus Cloud. We offer both Linux and Windows servers. The choice for one of both depends on the programming language of your website and/or applications. But don’t worry: it’s no problem to use a Linux server to host your website and manage it wit Windows on your home computer. Or the other way around. Below you’ll find an overview of all our web hosting packages and prices.